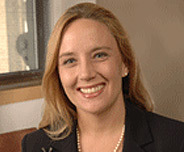 Kate Guedj joined the Boston Foundation as Director of Philanthropic Services in 2000. In 2005, she was made Vice President for Philanthropic and Donor Services. In this capacity, she works with the Foundation’s donors to help them achieve their charitable and philanthropic goals. She manages philanthropic support activities for donors and fund advisors as well as for the Foundation’s special funds and initiatives relating to donor grantmaking. Before coming to the Foundation, Kate was a senior executive with the Massachusetts Bar Association, overseeing their programs and services. She has also served as Director of the Massachusetts Bar Foundation and its grantmaking program providing legal services to the poor. She began her career at the Council on Foundations in Washington D.C. as a researcher, and eventually became Membership Director. Kate is on the governing boards of Associated Grant Makers, EdVestors, the Bruce J. Anderson Foundation and the Deshpande Foundation. She holds a Bachelor’s, with honors, in the division of the humanities from Swarthmore College.